On Apr 21 and 22, had a great opportunity to learn techniques of Shambhavi kriya from Sadhguru, Isha foundation. Amazing experience and ton of learning, useful for life. Every VoSAPian, I suggest to learn this technique and do very well in their life. Also this is a great solution for Divyang jan, Specially Abled People as with this kriya, inner engineering techniques, our energy level will go up, food habits will drastically improve and mind will be more blissful. We (Divyang jan) need to put extra efforts to stay healthy – physically as well mentally, stay positive and this course and subsequent practice will help us tremendously. Once can start online course (7 sessions of 1.5 hrs each) right away and start experiencing benefits. 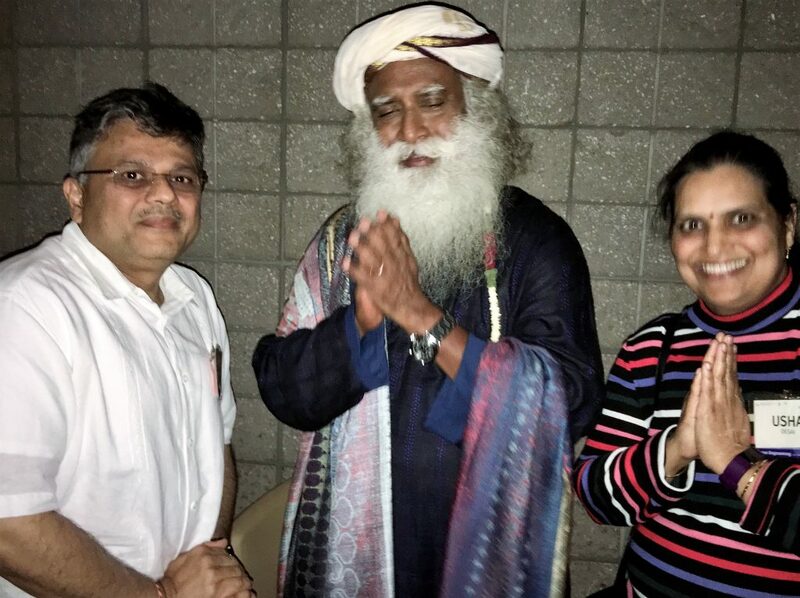 Sadhguru gave blessings to VoSAP mission, volunteers and Founders of VoSAP. We have started working on a plan to launch special Inner Engineering program for Specially Abled People People and also our volunteers. Stay tuned!